For many people, their wedding is the highlight of their life that also incorporates all the people near and dear to them. Therefore, it is often of the utmost importance to have a wedding ceremonial, including the reception and after party that is unforgettable. 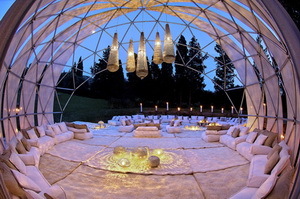 And what makes for an unforgettable experience for everyone involved? All the things that separate your wedding from the others – the unique factor. Here are five fun ideas to make your wedding reception uniquely unforgettable. Even if you do not normally think in terms of fancy cuisines and preparation methods, one thing that truly brings people together is good food. 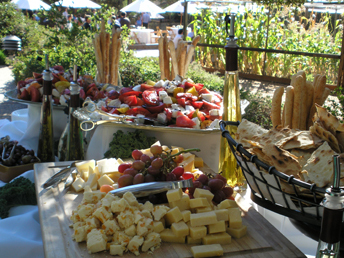 For your wedding reception, try new cuisines, or quality caterers, to have a constantly flowing source of delicious finger foods that will stimulate the taste buds and put smiles on peoples faces. Delicious, unique foods will get people talking and socializing on a whole other level. Avoid the typical when it comes to your wedding reception – make it your own! If you love mariachi music, then have that played at your reception. Ideally, you could play a mix of music to ensure that everyone gets to hear something they can enjoy. Rhythms and beats that keep people active and moving are best. And of course, regardless of what music you’ll be playing, be sure that your speaker rentals are top notch – the quality of the music has a huge impact on the crowd. This is becoming a standard thing to have at wedding receptions, however you can make your photo booth one that is unique and fun by renting out one that is self-directed. This puts the guests in control, guaranteeing you will have some memorable and genuine pictures. 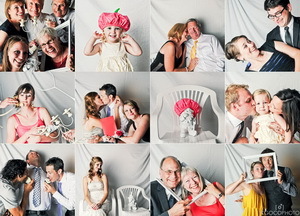 Photo booth rentals are a great way to add something unique to your wedding. Pick a booth that comes with fun backgrounds and props to ensure a good variety of pictures of your friends and family. 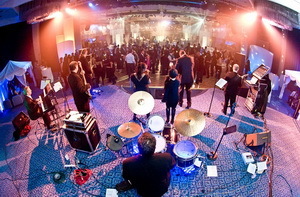 Finally, and most importantly – pick a prime location for your wedding reception. Pick a place that reflects back on the couple. Unique locations open up location-specific activities that will make the experience memorable. If the couple are really into movies then how about a vintage movie theater? On screen could be playing a love story of how the two met. Does the couple love science? How about a reception at a science museum? Outdoorsy types have a variety of choices, from parks to lakeside receptions.